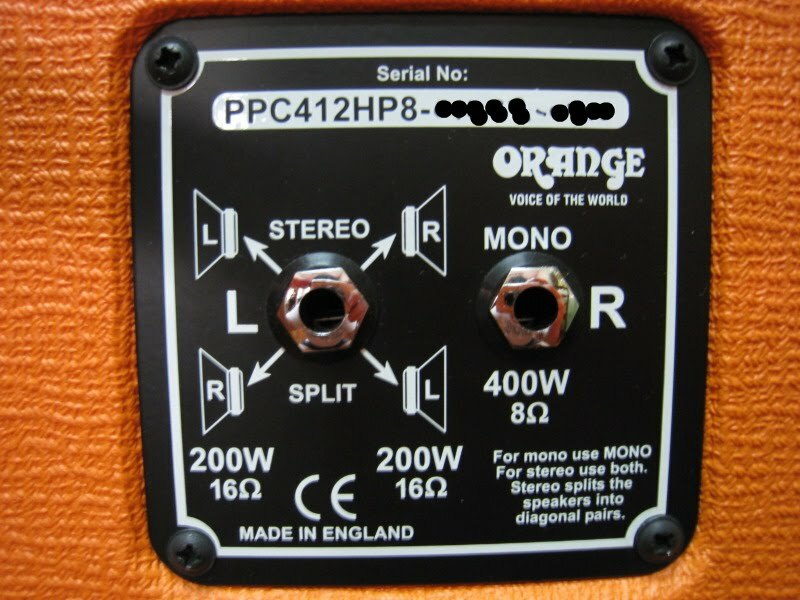 I bought the Orange PPC412HP8 because it comes with four Celestion G12-K100 Speakers. Kerry King from Slayer is one of the artistes who are using these speakers. His Marshall cabinets are loaded with Celestion G12-K100 and Vintage30 speakers. 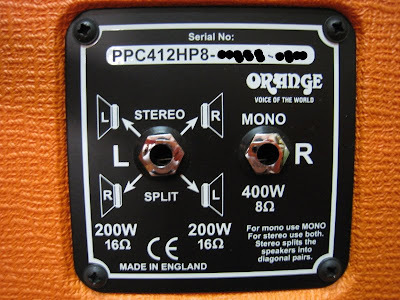 when it is used in "stereo mode" , each pair of the speakers are splitted "diagonally". Common feature among all the Orange amp cabinets is the "Skid Design Feet" (wooden slats/skids). In another word, there are NO casters on the bottom of Orange cabinet. to provide a tighter bass response and full range definition." 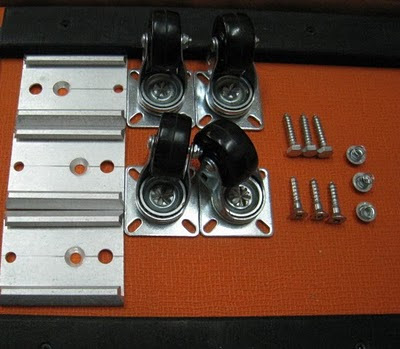 Here are the Mesa/Boogie Track-Lock™ Removable Casters. by pushing a little spring button that allows the wheel to slide out/in easily of the track. They are the best cabinet casters in this world. I'm going to follow those caster orientations from my Mesa/Boogie cabinet. of the cabinet bottom and screw those screws accordingly in. if you are going to follow exactly the caster position of the Mesa/Boogie cabinet. 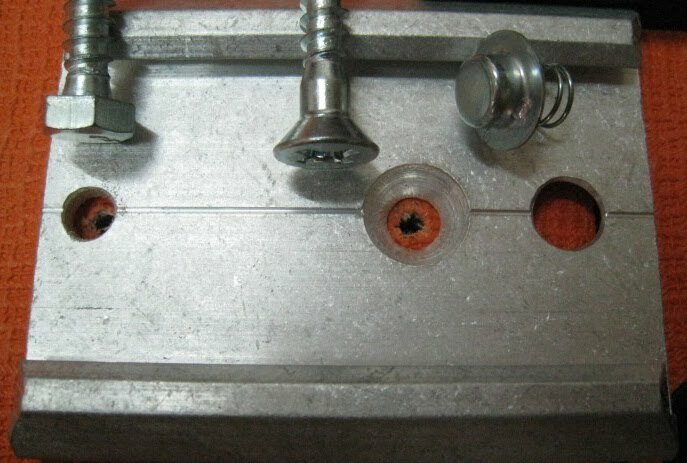 Press the spring button down and slide the caster in. Done ! The modification was completed. Nice casters. I can move the cabinet easily. 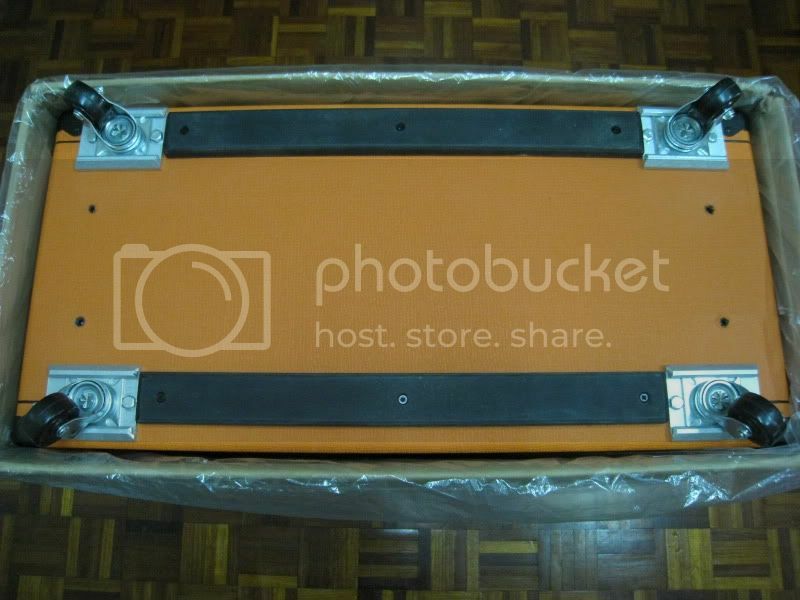 My Orange PPC412HP8 cabinet with Mesa/Boogie Track-Lock™ Removable Casters. If you are in the US, those Orange cabinets are actually made in US instead of England. Final picture with my Orange Tiny Terror(first batch of Korean made). so this won't damage the speakers or anything inside the cab? Absolutely not. I did open the cabinet for checking before. See my another post "X-pattern Mesa cab mod". So you fire the 400w cab with a 15w amp? It's a great mod and I have considered to do that with my Orange cab too. However I will just buy a little board with wheels and leave the cab original. I dont use a 15w amp even at home.